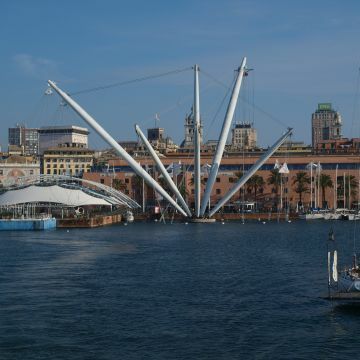 Are you on a cruise and Genova is one of your stopover? Do you have just few hours before leaving for your next destination, but you would like to visit the hometown of Colombo that has the wider Historical Centre in Europe? 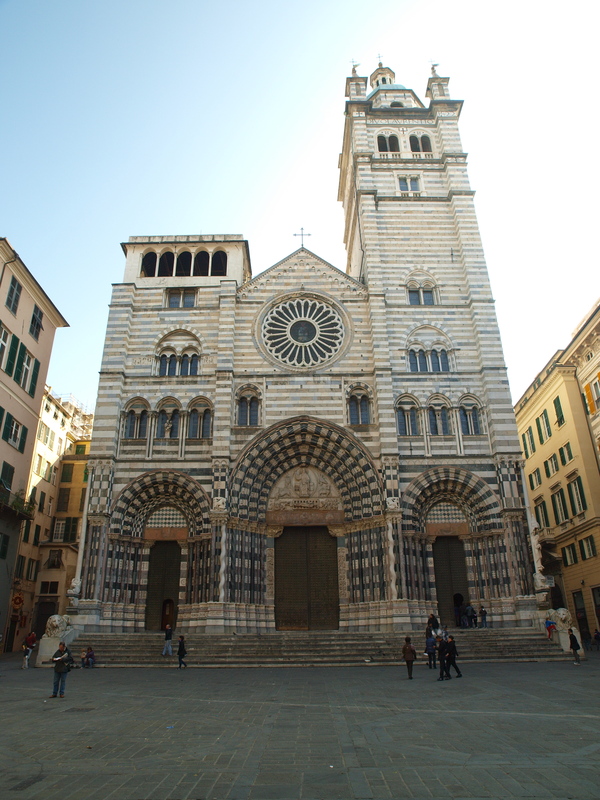 Here we propose you an itinerary to lead you in the heart of the city; a short but intense tour that will make you wish to come back to know more about Genova. 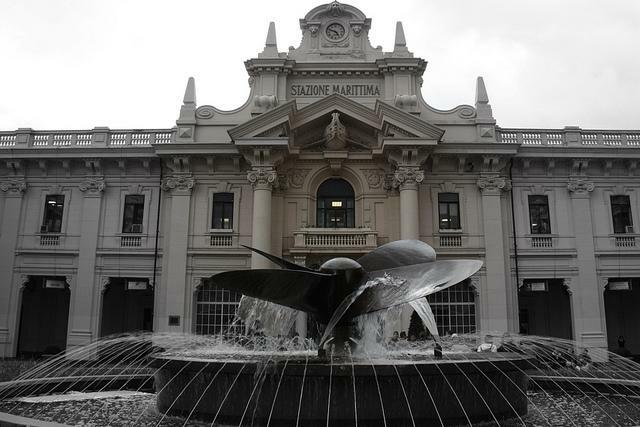 Leaving the Maritime Station and proceeding along via Alpini d’Italia and via Gramsci you reach the Galata Museo del Mare, the first Maritime Museum of the Mediterranean. 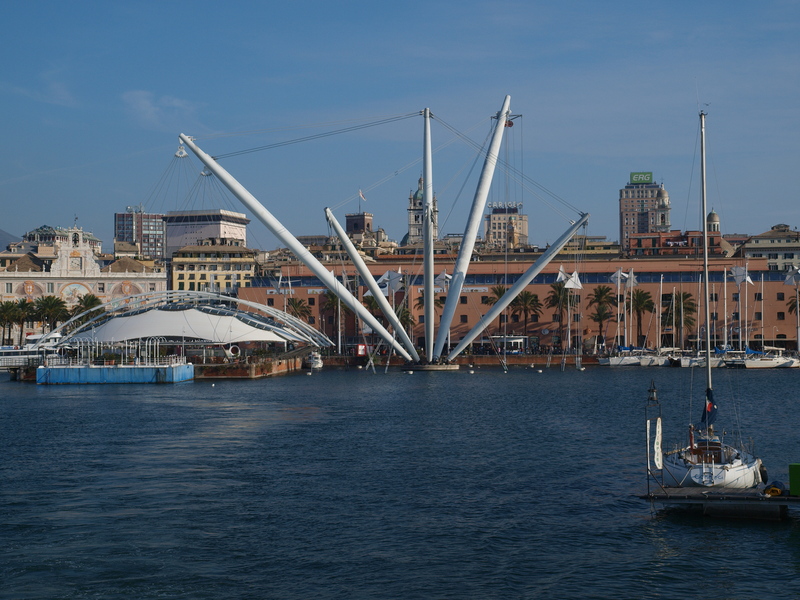 Few steps ahead you reach the Porto Antico, the old port area restored by Renzo Piano in 1992 and nowadays the touristic centre of the city. Within the area, beside the Aquarium, still one of the biggest and most visited in Europe, some significance attractions such as the panoramic lift Bigo, the Biosfera and so on. 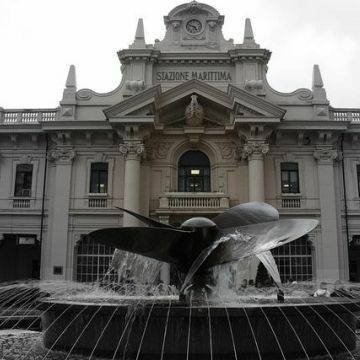 Just outside the area, Piazza Caricamento, so called because incoming and outgoing goods were once unloaded and loaded here. 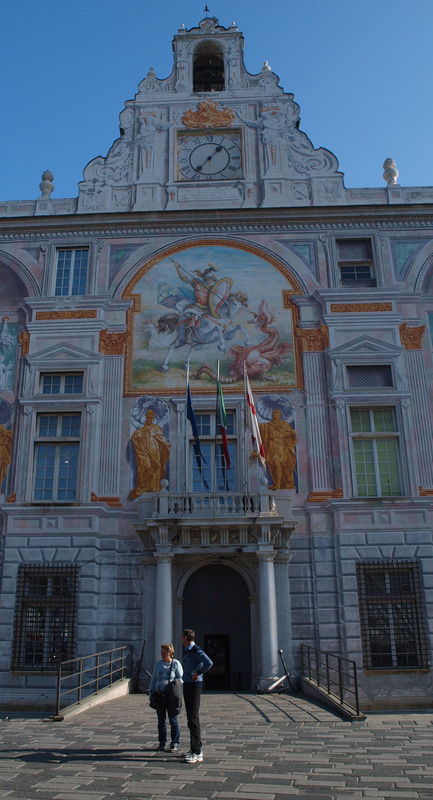 In the middle of the square there is Palazzo San Giorgio, boasting a beautiful frescoed façade showing up Saint George and the Dragon. 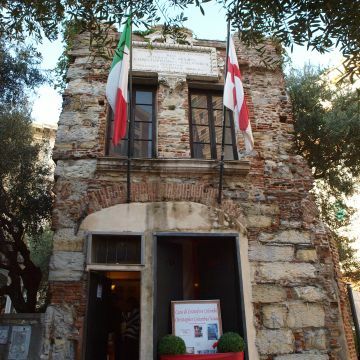 Heading behind the palace, you'll reach Piazza Banchi, where Loggia di Banchi, the site of Italy's first commodity exchange, and the church of San Pietro in Banchi, curiously built above several shops as a rare example in Italy and Europe, overlook the square. 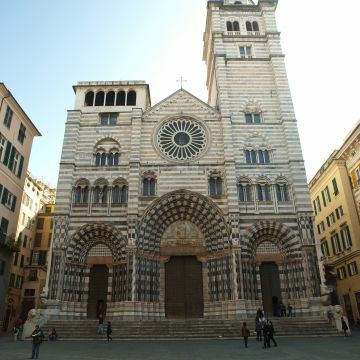 Proceeding right taking in Via San Lorenzo you find the namesake cathedral, built between the XII and XIV century characterized by Romanesque sides and portals, whereas the facade is Gothic. 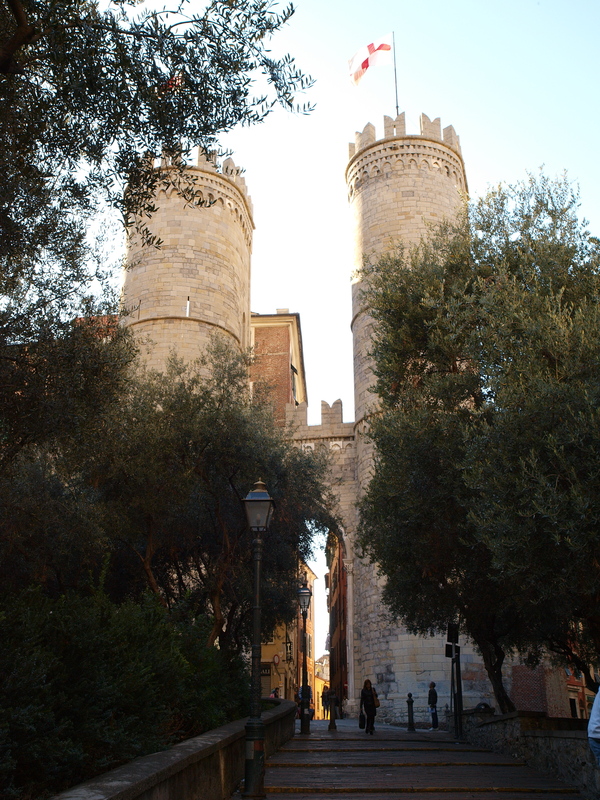 Within it houses the chapel dedicated to Saint John the Baptist, patron of the city. 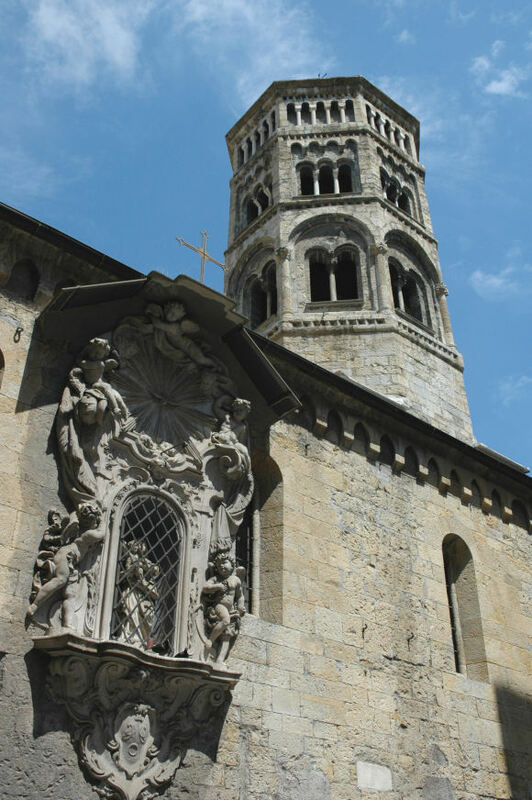 Taking Salita Pollaiuoli in few minutes you arrive at San Donato church built in the XI century in Romanesque style. 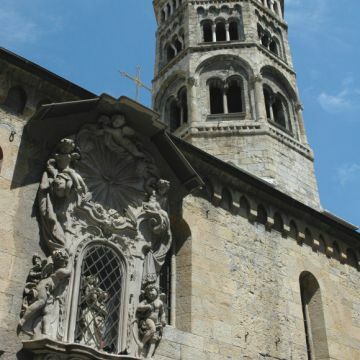 Of great value the octagonal tower and the 18-century niche. Inside the church, the painting by Nicolò da Voltri “Vergine con bimbo” and the triptych by Joos van Cleve “Adorazione dei Magi” (1515). 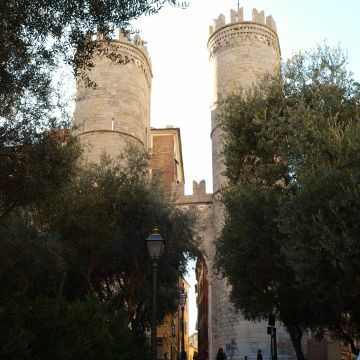 Proceeding along Stradone Sant’Agostino first and then Via Ravecca, you arrive to Porta Soprana built in the XII century and once the main east entrance to the city. 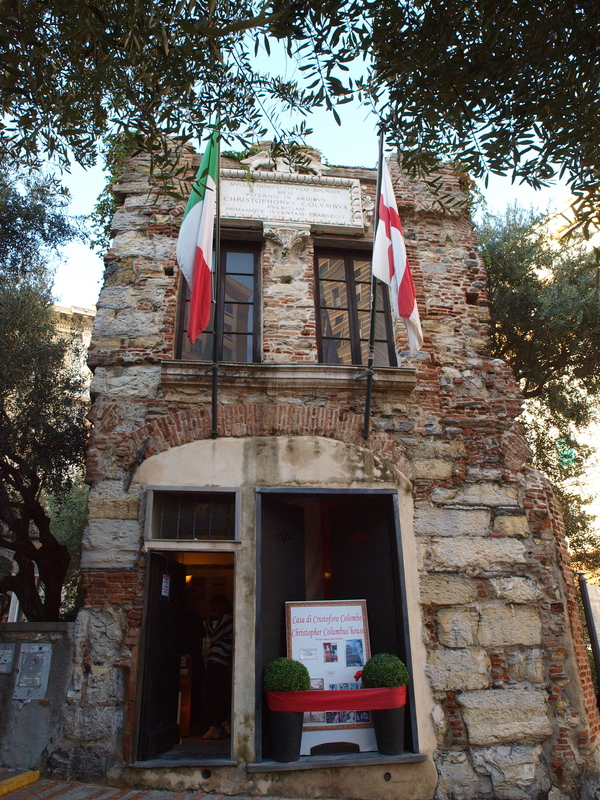 Onside is the home of Christopher Columbus, the building constructed in the XVII century on the foundations of the house believed to be the birthplace of Christopher Columbus. Few steps ahead Sant’Andrea cloister once part of an old monastery. 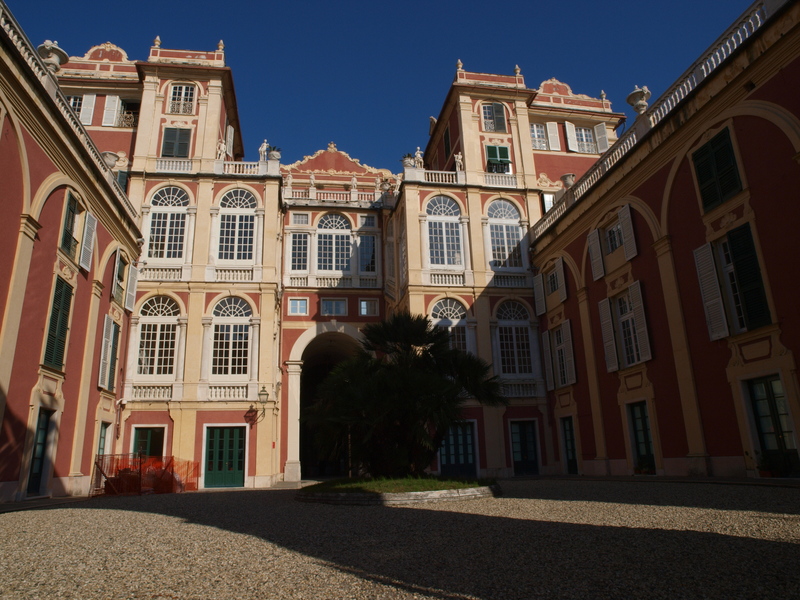 Palazzo Ducale the historic seat of the government of the Republic of Genoa since the XVI century; the building has a medieval body corresponding to the Torre Grimaldina, once occupied by old prisons , from where you can have a beautiful view of the town. 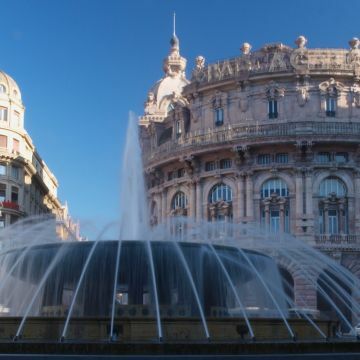 On the other side of the square, you can see the equestrian statue dedicated to Garibaldi and Carlo Felice Opera House. 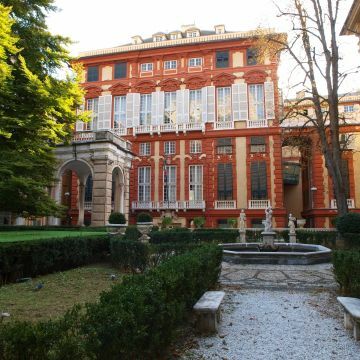 Now you keep going on along Via XXV Aprile to reach Via Garibaldi, the historic Strada Nuova (New Street), and its magnificent palaces that are part of the system of Palazzi dei Rolli, inscribed on the UNESCO World Heritage list from 2006. 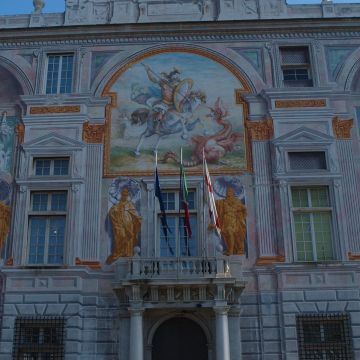 Among these Palazzo Rosso, Palazzo Bianco and Palazzo Tursi, which make up the museum itinerary of the Strada Nuova, beautiful historical dwellings preserving old furnishings, frescoed rooms and prized paintings by Guercino, Rubens, Van Dyck, Caravaggio, Strozzi, and many more. 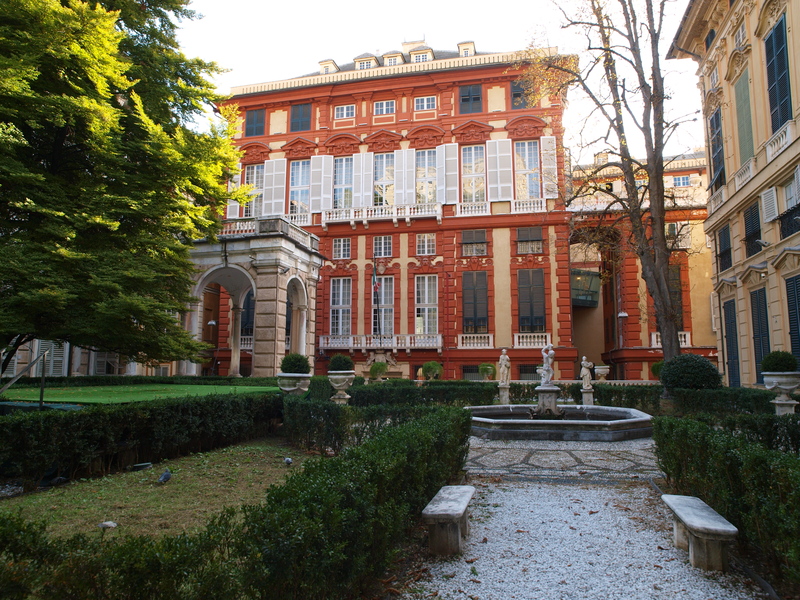 Going ahead Via Cairoli and Via Bensa, when you arrive in Piazza della Nunziata, dominated by the church Santissiama Annunziata del Vastato, take Via Balbi, the 17th-century street, today seat of the University of Genoa and Palazzo Reale, official residence of the Royal House of Savoy from 1824 onwards, defined by the Galleria degli Specchi (Hall of Mirrors) designed on the Versailles model. 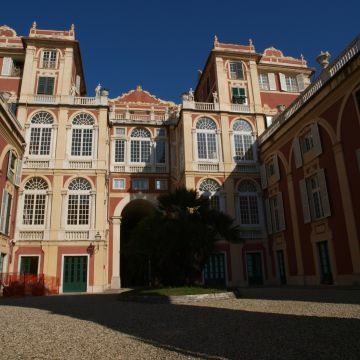 Passing the railway station of Genova Piazza Principe, you find yourself in front of Villa del Principe, the magnificent 16th-century dwelling built for Andrea Doria surrounded by a beautiful Italian garden dominated by a fountain of Neptune.